The streets known as Buckingham Street and Aylesbury Street were the next phase of development. Clearly some thought was given to the provision of a square but no effort was made at this time to build on it. After allowing the Stratford Road and Church Street to be open to private development, the LNWR returned to building its own houses along the north side of Buckingham Street, which is why they all look the same. These terraces were probably finished by 1878. The south side was left to private development. Consequently, builder constructed them a few at a time and you can see different building styles. 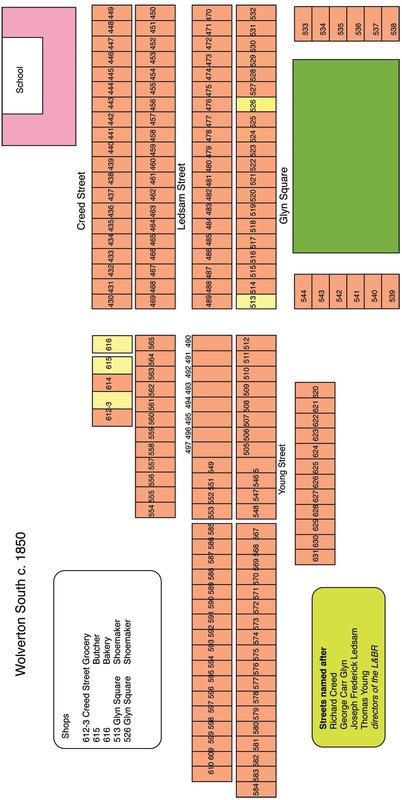 The plan below shows the intended layout of the new streets. A small start has been made on the south side of Buckingham Street and the block above the Square has been reserved for the Congregational Church. The names are clearly a nod to the county’s ancient towns. The three short streets built up to Green Lane were Radcliffe Street, Bedford Street and Oxford Street. Radcliffe Street was obviously named to honour the Radcliffe Trust but the motivation behind Bedford and Oxford is more obscure. If they were choosing neighbouring county towns why, or example did Northampton not get a look in? It is certainly nearer than Oxford and commercial connections with Oxford at that time must have been very tenuous. I can only think that after the parish of Wolverton was transferred from Lincoln (where it had resided for centuries) to Oxford people in Wolverton felt more affinity to Oxford as its episcopal seat. It’s possible too that they were thinking of the cross-country road that linked Bedford with Oxford. Construction seems to have started on these streets in the late 1870s and by 1885 they were complete. Bedford Street started development in 1880 and Oxford Street followed later in the decade. 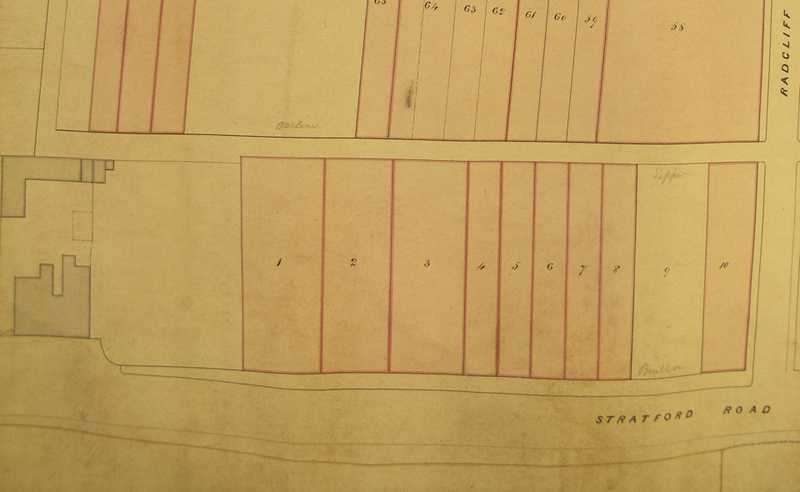 The Radcliffe Trust would give up no more land to the Railway Company after 1840. The church and the school on Creed Street and the Royal Engineer were all built on Radcliffe Trust property and they retained title. The reason for the development of New Bradwell in Stantonbury in the 1850s was entirely due to the Radcliffe Trust’s unwillingness to expand. In 1860, they relented, and the Stratford Road and Church Street were developed as far as the Cambridge Street back alley. The Drum and Monkey was actually on the edge of town at one time. No prizes for guessing how these streets got their names. 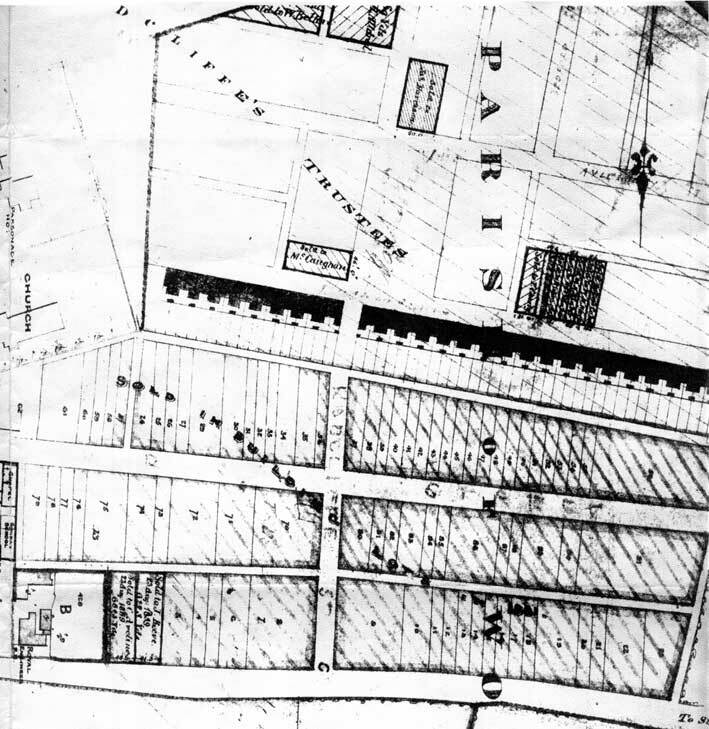 Part of the reason there was no Church Street that the Church was actually on was because Creed Street was named in 1842 before plans had been drawn up for a church and any decision made about the land allocation. The gate entrance was placed on Creed Street because the other streets didn’t exist in 1845. The back entrance on Buckingham Street came later. The streets south of the Stratford Road, later known as the “Little Streets” were built mostly in 1840 and survived for 120 years. The streets were Creed Street (which still survives) Ledsam Street, Glyn Square and Young Street. These were the men who gave their names to these streets. George Carr Glyn was born into a London banking family and was probably instrumental in securing the capital for the London and Birmingham Railway venture. In 1837 he became chairman and continued in that role when the enlarged company became the London & North Western Railway. He was a member of parliament and in 1869 elevated to the House of Lords as Baron Wolverton – the first to hold that title since the Middle Ages, and perhaps a tip of the hat to Wolverton’s importance in those early years. Richard Creed was the secretary for the company, at first jointly with Captain Moorsom of Birmingham and after Moorsom’s resignation, the sole office holder. Creed was also a well-connected banker and was a partner in the firm of Fauntleroy and Company. As an interesting side note the head of this firm, Henry Fauntleroy, was found guilty of forgery at the Old Bailey and sentenced to death! There was no suggestion that Creed was implicated. From the summary of the trial it appears that quite a number of people lost money through Fauntleroy’s misappropriation and I expect that many in those times might have felt that the death penalty was a proper punishment. However, Henry Fauntleroy was the last man to be executed for this particular crime and subsequent generations of bankers were able to rest easy. Joseph Frederick Ledsam, one of the more influential board members and for many years Deputy Chairman. According to the 1851 Census he was a landed proprietor, Deputy Lieutenant of Worcester and a JP. He was living in some comfort on the Harborne Road in Edgbaston. The Ledsams, like many successful Birmingham families, emerge during the 18th century, likely in some manufacturing enterprise. In the 19th century Thomas Ledsam and Sons were button manufacturers and Daniel Ledsam was a merchant in the mid-century. Joseph was obviously part of the same extended family but his precise place in the family is not apparent from my brief research. What we can say is that he had some capital and was probably smart enough to invest it in the new railway. On August 13th 1846 The Times listed the individuals who had put up money for “Railway Speculation”. Any amount over £20,000 had to be declared to Parliament and therefore became public knowledge. Ledsam put up £186,000 – a serious sum of money.The following account, extracted from “Modern Birmingham and its Institutions 1841-1871”, a compilation of local activities, gives a clearer concept of Mr.. Ledsam’s role in the community. On December 28, (1861) Mr.. Joseph Frederick Ledsam died in his 72nd year. Until a short time before his decease Mr.. Ledsam occupied a prominent position amongst the leading inhabitants of the town, but his failing health compelled him to retire from public life. Ledsam was a Magistrate for the three counties of Warwick, Worcester, and Stafford, and a Deputy Lieutenant of Warwick. He was High Sheriff of Worcestershire, a fund-raiser and benefactor of the General Hospital and an active member of the Government Board of the Free Grammar School. He was likewise well-known as having a prominent share in the management of several important commercial undertakings, amongst which may be mentioned the Birmingham Banking Company, the Birmingham and Staffordshire Gas Company, and last, but by no means least, the London and North Western Railway Company, in connection with which, for several years, he performed the laborious duties of Deputy Chairman of the Directors. By those who knew him personally, Mr.. Ledsam was highly esteemed, both as a public man and in the relationship of his private life; and the regard generally entertained for him was abundantly justified by his amiable character and his uniformly courteous and obliging disposition. Thomas Young remains obscure. He was a director of the L & BR and sat on a number of committees, which suggests that he was a hard working director. Unfortunately there were many Thomas Youngs, quite a number of whom were well-to-do and not one of them stands out as the Thomas Young of the L & BR. Here are the northern streets and a little information about the men who gave their names to them. Bury Street – a long street north of the Stratford Road to the canal, originally Wolverton’s principle shopping street. Garnett Street, Cooke Street, Walker Street – short streets about 6 or 7 cottages in length between the north end of the Engine Shed and the canal. Gas Street – six cottages parallel to the south side of the Engine Shed and, as the name suggests, the Gas Works. Garnett Street, Cooke Street, Walker Street and part of Bury Street was cleared in 1856 to make way for new workshop development. 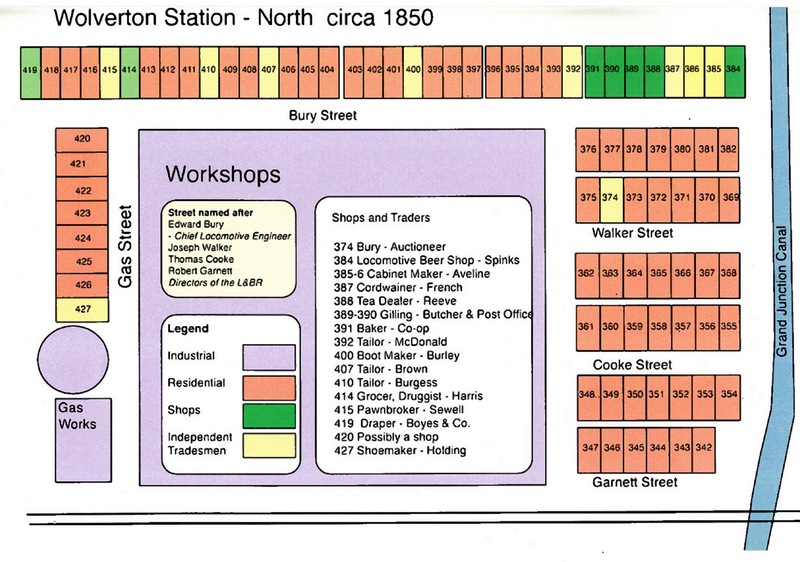 The south end of Bury Street and Gas treat survived until the 1890s when they too were consumed by works expansion. Edward Bury was the first locomotive engineer for the London & Birmingham Railway. He was born in Salford in 1794 and in 1826 set up his engineering works in Liverpool, under the name of Edward Bury and Company. He employed James Kennedy, who brought the necessary experience of locomotive building with Robert Stephenson as his works foreman. In 1842 Kennedy became a partner when the firm expanded under the name of Bury, Curtis and Kennedy. Their first engines were built for the Liverpool and Manchester Railway from 1830. In time they refined their designs to lighter locomotives known as the “Bury type”. In 1836 Bury contracted to run the trains on the London and Birmingham Railway and in 1839, just after the line through Wolverton had opened, he was appointed Locomotive Superintendent at the rather handsome salary of £1400 a year. He contracted the building of engines to other companies as well as his own. He continued in this role until 1847, when, shortly after the formation of the L & NWR he resigned to join the Great Northern Railway as Locomotive Superintendent and General Manager. He was married to Priscilla Falkner, an accomplished botanical artist, and her works and prints can still be found for sale in the Art market. According to Hugh Stowell Brown, the renowned 19thcentury Baptist preacher who worked in Wolverton as a young man, relatively little was seen of him in the works – an unsurprising observation considering that he had responsibilities at his own works in Liverpool as well as duties up and down the line. Wolverton’s role in these years was maintenance and repair of engines and Bury was probably content to delegate the overseeing of this task. Sir Frank Markham does mention that he had a residence at Great Linford, which rather suggests that he was prepared to spend some time in Wolverton. He died in 1858. Robert Garnett was a son of a Manchester merchant family who did extremely well in trade in the far-east and as an early speculator in railways Garnett probably enhanced his fortune. He then followed the well-worn path of many wealthy Victorian industrialists and bought land (and the status it bestowed) in the Wyre Forest area near Lancaster and his descendants thereafter enjoyed the lives of country gentry. Robert Garnett was once a candidate for MP, although he did not get elected. Thomas Cooke put a huge amount of money into the railway, £219,000 according to The Times of 1846, so it is perhaps no surprise that his name was honoured in the name of a Wolverton Street. Curiously, other than he was also a director of the London and South Western Railway, little else brought him to prominence and it is hard to find much mention of him in any historical record apart from Committee minutes. Joseph Walker, who gave his name to the short-lived Walker Street in Wolverton, may be one such. In 1846 he was able to put up £178,500 in share capital for the L & NWR so he was clearly a man of some substance. He was an early director of the London and Birmingham Railway and also of the Birmingham and Derby Railway. Other than that there are few clues to his existence. To another local worthy, Mr. Walker, for dinner. Rehearsal in the evening, the hall illuminated and splendid. The editor of these diaries suggests that this may be Joseph Walker, proprietor of Joseph Walker and Co., Factors in St Paul’s Square. This is in part corroborated by an 1841 Census entry, which records a 60 year-old Joseph Walker and his wife living on The Crescent with a household of four servants. This address in itself would suggest affluence. This Joseph Walker, born around 1780, is certainly of an age which would have given him enough financial clout to become a director of an early railway company. It is possible that he was more active in the 1830s and hence became a candidate for a street name. He died in late 1846, but unlike his fellow Birmingham railway speculator, J.F. Ledsam, left little to be remembered by. This is a rather sketchy case for this Joseph Walker being the man who gave his name to Walker Street; it could easily be another man of the same name. From reading the book on the Radcliffe Trust by Ivor Guest you are presented with the image of Thomas Harrison as a land agent for the trust who was also a gentleman farmer. He does drop hints that Harrison may have had other resources and he does describe his involvement in the ill-fated wooden aqueduct, but overall we are left with the impression that these activites were sidelines. In fact the reverse appears to be true; Harrison had his fingers in many pies, some of them very lucrative indeed. And his administration of the Wolverton Estate may have taken up the smallest amount of his time. His income of £40 a year for managing the Wolverton Estate was not much better than the annual stipend of the Vicar of Holy Trinity and could not begin to cover the lifestyle he evidently enjoyed. One can only assume that it suited him to live at Wolverton because of its proximity to the Watling Street, the major highway that connected him to his business interests in London, the West Midlands and North Wales. At the time he became land agent for the Radcliffe Trust in 1773 he was already the principal agent for Earl Spencer, who had come into a vast inheritance from his grandmother the Duchess of Marlborough. The job of managing the Wolverton estate would have been a small bolt-on activity for the energetic Harrison but it may be that the opportunity suited him very well. He was living at the time in the old Wittewronge mansion at Stantonbury, part of Spencer’s Marlborough inheritance. Stantonbury was barely populated at the time but it may have had some advantage for Harrison being midway between the Spencer lands in Northamptonshire and those in Hertfordshire. From there he would have been able to travel where necessary and be no more than a day’s journey away. It is hard to put any other construction on this. The Stantonbury estate by itself, mainly grazing land, could not have supported a man of Harrison’s calibre. A bailiff, for example, at a fraction of Harrison’s income, would have been sufficient to collect rents and attend to the needs of the estate. This mansion had been built in 1662 and was probably brick-built, although we have no way of knowing since no description of any kind survives, but judging by the complete absence of any ruin, a brick building seems most likely as bricks, compared to stones, are more easily cleared from a site. Again this is guesswork, but since this mansion disappeared a few years after the Harrisons vacated it one can assume that the building was in a poor state of repair and probably too difficult and expensive to resuscitate. The Radcliffe Trust job gave Harrison the opportunity to move to more habitable accommodation and live close to the Watling Street. Somehow, possibly through the Spencer association, he came into contact with the Paget family, Earls of Uxbridge and later Marquesses of Anglesey. The Paget family were an old family with their seat at Beaudesert in Staffordshire’ Cannock Chase and Thomas Harrison was first employed to look after these interests. Caroline Paget was the last of this line and she had married Sir Nicholas Bayly, an Anglesey baronet, and it was this connection that brought everybody in this story into the new world of the industrial revolution. The Baylys owned half of a mountain in Anglesey which, in this new age that was hungry for metal, was found to have an extremely rich and accessible seam of copper. However, the seam of copper was no respecter of surface land boundaries and inevitably disputes arose with the owner of the other half of the mountain, the Reverend Edward Hughes. The struggle between them was fierce and litigious. At some stage after Hughes had established his own mining company he engaged the services of one of the sharpest and most enterprising minds of the new industrial age, Thomas Williams. Williams was an Anglesey lawyer without any great prospects ahead of him until he came to represent Edward Hughes in the dispute with the Baylys. From here he was able to use his agile mind and tough bargaining credentials to build up his own industrial empire. He later became known as the Copper King and rubbed shoulders on equal terms with the likes of Matthew Boulton and James Watt. Williams was easily able to bring about beneficial deals for Edward Hughes and himself and leave Sir Nicholas Bayly and his agent Hugh price puzzled and discontented, and it was probably in an attempt to bring the contest to more equal terms that Henry Bayly (Sir Nicholas’s son and heir and the future Earl of Uxbridge) brought in Thomas Harrison. Harrison was up against a very considerable opponent. The discovery of the copper seam was dated to March 2nd1768, long before Harrison became involved, and was initially worked by Roe and Company, a firm of Chester mining engineers, with Bayly taking a 1/8 share. Sir Nicholas later had regrets about the arrangement, believing, with some justification, that he had less than he deserved. Issues were further complicated by interventions by the Reverend Edward Hughes, who owned the other half of Parys mountain and there were several litigious dispute during the 1770s. During this period the Hughes family had engaged the services of an Anglesey lawyer, Thomas Williams. 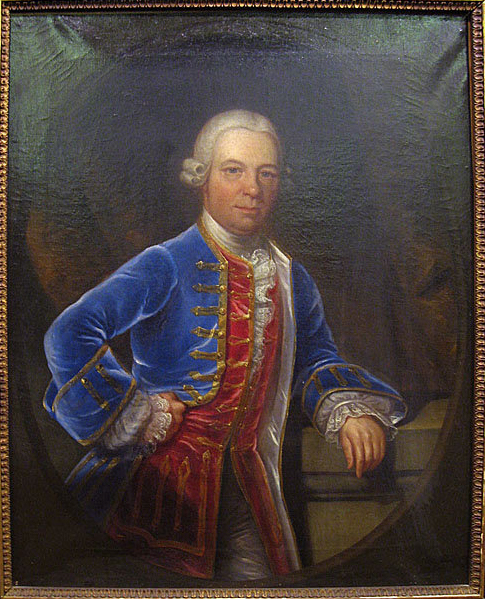 Williams was an opportunist of the first rank and subsequently parlayed his role in this local dispute into a very considerable fortune for himself and an almost monopolistic control of the copper industry in late 18th century Britain. At his death in 1802 his many companies were valued in total at over £1 million – a huge sum in those days. Williams was clever and unscrupulous but clearly had the personality and charm to convince a number of hard-headed businessmen to enter into deals and partnerships with him. One early sign of his method of operating emerged in 1778 when he persuaded Sir Nicholas Bayly, by then worn down by years of litigation, to lease his share of the mine to John Dawes, a London banker, for 21 years. With the ink scarcely dry on the agreement, Dawes then formed a new mining company with Hughes and Williams, thereby bringing the Parys Mountain mining enterprise under the control of one company. There is little doubt that Williams was behind this move and he became the powerful figure in the partnership. Sir Nicholas Bayly’s share of the lease to Dawes was for 1/3 of the production. A month later the terms were changed and agreed as a fixed sum of £4000 per annum. In retrospect, not the best deal for Sir Nicholas. Thomas Harrison entered the picture in 1782 when he was asked by Sir Nicholas’s son and heir Henry to compile a report on the mining operations in Anglesey. Harrison had no background in mining and appears to have come into the picture as a land agent for the Pagets at Beaudesert in Staffordshire. However, Sir Nicholas’s land agent at Plas Newydd, Hugh Price, was obviously being outfoxed by Williams and a sharper brain, one more attuned to the times, was needed. Henry Bayly was concerned about his inheritance but Sir Nicholas was still alive, so by asking Thomas Harrison to compile a report Henry Bayly hoped to gather intelligence without outflanking his father or his agent Hugh Price. Price was undoubtedly worried by this intervention and tried to counter any potential criticism by insisting at the outset that he had “repeatedly requested” a copy of the lease between Sir Nicholas and Charles Roe, but that the baronet had kept all negotiations secret. Whether this was true or not Price was obviously sensitive to the inadequate terms of the agreement with Dawes. Not a blade of any sort can live where the Smoke reaches as is evident from the burning of Ore which destroys and has destroyed every thing of the Vegetable kind within its reach, and such is the stench of it, as well as its tendency to suffocation, that no mortal being can think of living near such works, but those who are employed in them. Obviously a startlingly different environment from the gentle Cowperian landscape of the Ouse valley. Harrison then proceeded to describe the mines and the port of Amlwch together with the smelting works in Lancashire and Swansea, which he presumably visited, and their operations. It is not until 1784, after the death of Sir Nicholas, that he is able to report on the accounts. The news was not good. In a letter dated 19th January 1784 he sends a warning to the earl of Uxbridge, “to my great Mortification, I have already proceeded enough to put me in a cold Sweat.” He warns that expenditure appeared to exceed income (albeit a huge figure of £14,000 for December and January) and he could see no immediate solution to the problem. He complained to Paget about the amount of time he was spending on this work. He wrote that his son (presumably John Harrison, then about 24) had “not spent a day in any other Business since the 25th December” and he had spent three-quarters of his time on this work, which was a long way from being finished. This work brought him into regular contact with Thomas Williams who was angling to increase his control of copper production by acquiring the Cerrig y Bledda mine, a smaller mine, still in the hands of Uxbridge with the lease to Roe and company expiring in 1786. Harrison met with Williams in August 1784 to discuss irregularities in the accounts for the Parys mine, and at this time Williams broached the subject of taking over the lease for the Cerrig y Bledda mine. Harrison wrote to Paget on August 21st 1784 to ask if his lordship wished to work the mine himself or lease it. Paget firmly replied firmly that he wished to retain the mine and work it directly. This determination may have been prompted by Harrison’s investigation which revealed that Roe and Company had been taking £15,000 a year in profit for the previous three years, although he may not have heeded the caveat that because of the poor drafting of the lease “they could take all the ore they cared to at the least expense and leave the more difficult to a later date,” meaning that the most accessible ore was taken first. In retrospect these were the most productive and profitable years for the mine. Something must have happened between September 5thwhen Uxbridge was minded to take no partners and October 10th when the new company was founded. 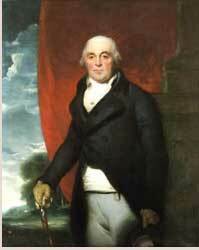 What convinced Uxbridge to change his mind we do not know, but plainly, Williams had got his way. Williams was nothing if not determined to get a share in the new mining company and had several meetings with Harrison in London and Anglesey to pursue his case, and one can only conclude that Harrison’s recommendation had some bearing on Uxbridge allowing Williams a quarter share in the new venture, since as late as September 5th 1785 the earl was determined to go it alone. One can only conclude that something happened that made Harrison more amenable to Williams involvement and that he was able to persuade his lordship..
Harrison could have advanced good reasons for the earl to take Williams into partnership. The best parts of the mine were depleted and Roe and Company had left the mine in a poor state with a lot of clearing up to do. Lord Uxbridge knew very little about mining and with the example of his father before him he may have been reluctant to get into a protracted legal battle with Williams, who was a master of that game. Even so, at least one writer suggests collusion between Williams and Harrison to achieve an outcome desirable to Williams. One need not look too far to discover Harrison and Williams working together behind the scenes, in part evidenced by Harrison’s inclusion in one of the manufacturing partnerships. This is difficult territory for the historian because there is absolutely no proof one way or the other of any impropriety on the part of Thomas Harrison but some of the circumstantial happenings around this time should raise some questions. We can note the following. The Stanley Smelting Company, which had works at St Helens and Swansea, was half owned by Lord Uxbridge and a quarter owned by Thomas Williams. The remaining quarter was shared between the ironmaster, John Wilkinson, the works manager, Michael Hughes, the London banker and investor, John Dawes, and Thomas Harrison. Another company, the Greenfield Copper and Brass Company in Flintshire was another Williams company and Harrison appears about this time as a minor shareholder. And finally there was the Flint Coal Canal company, founded in 1784, which included all the players in the Parys Mountain mining drama, Edward Hughes, Thomas Williams, John Wilkinson, Edward Jones, a lead mine owner at Wepre, Flintshire, and Thomas Harrison. Unfortunately we still do not know enough about Thomas Harrison’s background to properly assess his wealth. He was certainly well-to-do at his death in 1809 and he was able to make good the damages assessed against him for the failed Wolverton aqueduct, a sum of over £9,000, without significant impact on the family. A few years later his son Richard was able to meet the demands of creditors on the failure of the Stony Stratford Bank without falling into bankruptcy. So the Harrisons had resources, although notably not in land, which would lead me to conjecture that Thomas Harrison did not himself inherit any land and had to make his way in the world without significant assets. Did he have sufficient cash resources to invest in these companies in the 1780s, and if so, where did the money come from? Without being able to answer that question one might ask if these shareholdings actual investments by Thomas Harrison or did they represent compensation for services rendered? It is tempting to put the latter construction on this. As indicated earlier, the business of the mines was taking up a lot of Thomas Harrison’s time for no other compensation other than expenses. As land agent for the Pagets at Beaudesert he was probably paid something like £40 a year, a similar sum to that which he drew from the Radcliffe Trust and Earl Spencer. The fee served the function of a retainer for services which involved some regular duties and occasional periods of activity. From the correspondence of the period 1783-5 it does appear that Harrison was under additional pressure of work and at one point is employing his son to assist him. So it is perhaps not surprising that he also looked for other opportunities to make some extra money. Certainly during this period he became a shareholder in several associated companies. In the Stanley Smelting Company the major shareholders are Uxbridge and Williams, but the smaller shareholders were all active functionaries in the setting up and running of the company, so it is reasonable to infer that they were rewarded with small shares that would one day compensate them for their extra efforts. The same interpretation can be placed on Harrison’s shares in the Greenfield company, except that here Uxbridge was not a shareholder and it can only be deduced that these shares represented a reward from Williams for “services rendered”. These services may have been in conflict with his nominal master Lord Uxbridge and therefore may raise a query about Harrison’s integrity. In a rather rambling letter dated 11 May 1786, Harrison is full of apology to the Earl of Uxbridge, although the exact cause of the upset is not identified. The earl was annoyed with Harrison and Williams about something and one interpretationmay be that he was unhappy with the way Harrison had represented his interests. The final company, the Flint Coal Canal Company, is more of a puzzle. The company was set up in 1784, involving many of the players in these other companies. They did go as far as obtaining an Act of Parliament approving the canal in 1788, but the canal was never built. The only construction was a bridge over the Wepre river with a plaque bearing the names of the directors, strangely enough nowhere near the line of the proposed canal. The authorized capital was £20,000. Was this capital actually raised? Did anyone lose money? Did anyone make any money? What was the point? At the time of his involvement with the Anglesey enterprises, between 1782 – 1786, Thomas Harrison was able to build Wolverton House at a cost of £1840. He was able to recover £500 from the Radcliffe Trust, but even so was a large amount of money for the age. And from what we might guess about his “regular” income this figure represents more than ten times that figure – a highly speculative amount in any age, even assuming that he could borrow the money. It is tempting to conclude that the house was built from the proceeds of his activity in Anglesey during the period. The modernization of the old farmhouse may have begun with modest intentions in 1782, but in the last two years of the building program he must have realized large tranches of money from his industrial shares that enabled him to build Wolverton’s largest house. This is pure speculation on my part but such a conclusion can be drawn from the coincidence of the building of Wolverton House and his adventure in the copper mining industry. One can also observe that the Harrison family lived at Wolverton for almost a decade before attempting a building program. It is curious that we know so little about the origins of a man who became prominent in his lifetime. His date of birth can be inferred as 1734, but his place of birth and parentage is as yet unknown. He had a sister who married into a Halifax family, which might suggest Yorkshire origins, although his connection to Earl Spencer would suggest Northamptonshire or Hertfordshire or London origins. He had two marriages, but neither one has turned up in records, nor has the burial of his first wife Elizabeth. Any one of these could provide useful clues. We can make some assumptions: he was well connected, belonging to a middle class family of appropriate status and that he must have had some legal training. There is a record of a Thomas Harrison at the Inner Temple from 1754 to 1757, and this man is recorded as the third son of Sir Thomas Harrison. He may be a candidate, although the age of 20 seems to be a bit late to enter the Inns of Court. Also, if he named his first son John, then, according to the naming conventions of the time, one might look to a John Harrison as father. There are many Thomas Harrisons to choose from during the period, each from various parts of the country, and none with an obvious standout claim to be Wolverton’s Thomas Harrison. During the drafting of the mining leases he uses the services of a Mr. Harrison, a solicitor from Daventry. Was he related? The quest will continue but for the moment I am inclined to assume that he had some money behind him, but probably not a great deal. It is more likely that he used his brains and ability to take advantage of the opportunities open to him, rather like Thomas Williams, although on a less extravagant scale. It is tempting to see Harrison and Williams as men cut from similar cloth. Williams father was a middle class landowner in Anglesey, but by no means rich. His son had legal training and was able to build a respectable practise in Anglesey. His first involvement in the copper business obviously inspired him to develop his deal-making skills in this industry and at one time he held monopoly control of all copper mining in Cornwall and Wales, as well as the related processing industries. By comparison Harrison was a small player but he seems to have been astute enough to develop some wealth from his contacts. On the whole he appears to have held his own with Williams and emerged financially better off from the experience, and the knowledge gained may have encouraged him to invest in other industrial enterprises, which he undoubtedly did. Thomas Harrison. Mona Mine MS. University of Wales, Bangor: MS3544. Thomas Harrison. Memorandum dated 11 October 1785, Mona Mine MS. University of Wales, Bangor: MS 3485. Thomas Harrison. Memorandum dated 31 March 1788, Mona Mine MS. University of Wales, Bangor: MS 3046. Dorothy Bentley Smith. A Georgian Gent & Co.: The Life and Times of Charles Roe of Macclesfield. Landmark Publishing Ltd: 2005. P.473. Letter from Thomas Wilson to James Watt, 15 September 1790.